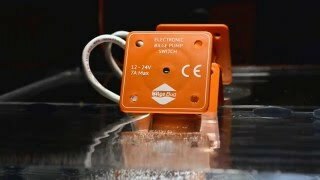 The Bilge Bug electronic bilge pump switch has been developed to overcome the design flaws of the traditional float switch that can be rendered useless by bilge debris; threatening your boats safety and the marine environment. It is our mission to develop amazing products with reliability, longevity and safety in mind and whilst doing so keep our impact on the environment to a minimum starting with the Bilge Bug®. At Excel Marine we are passionate about developing exceptional products. All of our products are developed with you, the end user, in mind. We carefully examine our customers experience with our products, from the initial requirement to the way the product is installed and used. We are meticulous in our research, the materials used, the technology applied and your need for highly reliable, long lasting technology to keep you and your vessel safe at sea. The Bilge Bug® electronic bilge pump switch is the first of what will be a family of products designed and developed around this ethos. The Bilge Bug® range will be expanded over the coming years to provide durable, lasting solutions to the challenges that all boat owners face.